Start off your visit on the 26th (Sun): explore the stunning scenery at Grand Canyon South Rim, then trek along South Kaibab Trail, then take some stellar pictures from Yaki Point, and finally explore the stunning scenery at Yavapai Point. Get ready for a full day of sightseeing on the 27th (Mon): trek along Bright Angel Trail. To see traveler tips, photos, more things to do, and other tourist information, use the Grand Canyon National Park trip itinerary planner . Boston to Grand Canyon National Park is an approximately 12.5-hour combination of flight and bus. You can also drive. The time zone difference moving from Eastern Standard Time to Mountain Standard Time is minus 2 hours. Plan for little chillier nights when traveling from Boston in May since evenings lows in Grand Canyon National Park dip to 33°F. Finish up your sightseeing early on the 27th (Mon) so you can travel to Las Vegas. 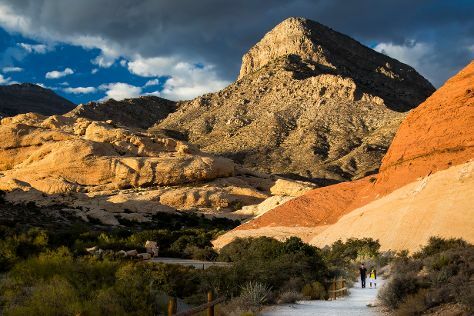 Start off your visit on the 28th (Tue): explore the stunning scenery at Red Rock Canyon National Conservation Area, then enjoy breathtaking views from Eiffel Tower Viewing Deck, and then admire the local landmark of Bellagio Fountains. On the 29th (Wed), you'll have a packed day of sightseeing: examine the collection at The Mob Museum, then take in nature's colorful creations at Bellagio Conservatory & Botanical Gardens, and then shop like a local with The Strip. For ratings, where to stay, maps, and other tourist information, read our Las Vegas sightseeing planner . You can do a combination of flight and car from Grand Canyon National Park to Las Vegas in 4.5 hours. Other options are to drive; or take a shuttle. The time zone difference moving from Mountain Standard Time to Pacific Standard Time is minus 1 hour. Traveling from Grand Canyon National Park in May, expect nights in Las Vegas to be warmer, around 64°F, while days are somewhat warmer, around 87°F. 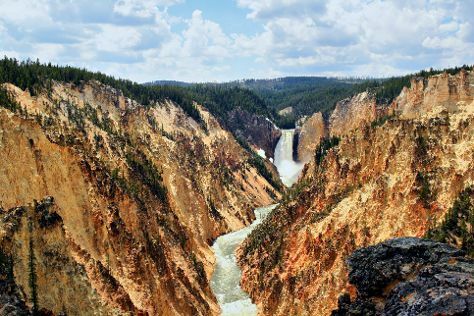 Cap off your sightseeing on the 29th (Wed) early enough to travel to Yellowstone National Park. Kick off your visit on the 30th (Thu): witness a stunning natural landmark at Old Faithful, tour the pleasant surroundings at Artist Point, and then take in breathtaking views at Grand Canyon of the Yellowstone. To see ratings, photos, maps, and tourist information, read Yellowstone National Park attractions planner . Traveling by combination of flight and car from Las Vegas to Yellowstone National Park takes 7 hours. Alternatively, you can drive. The time zone difference moving from Pacific Standard Time to Mountain Standard Time is 1 hour. Plan for much colder temperatures traveling from Las Vegas in May, with highs in Yellowstone National Park at 53°F and lows at 27°F. You will have some time to spend on the 31st (Fri) before leaving for home.